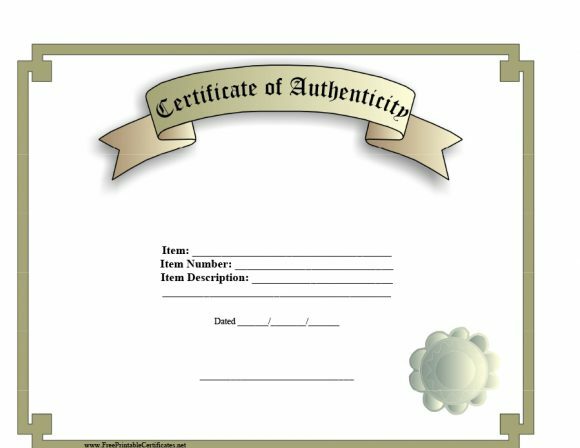 5 What should the certificate of authenticity include? COAs on computers contain a license number. 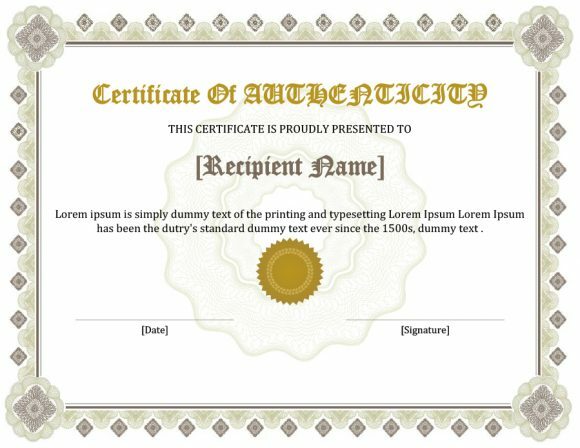 It verifies that the program is an authentic and legal copy. 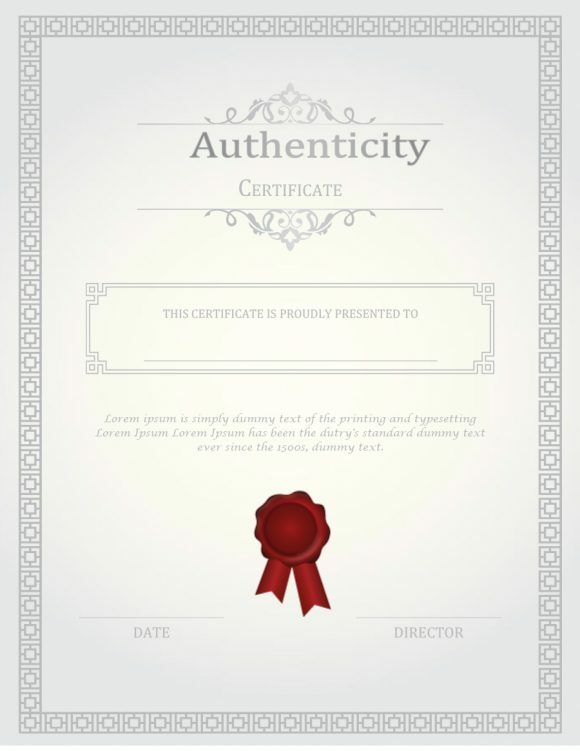 In art, certificate of authenticity should have a signature and a seal from a reputable auction house or appraiser. A lot of artists make use of COAs as a way to add facts about a specific artwork in order to prove that it’s authentic. 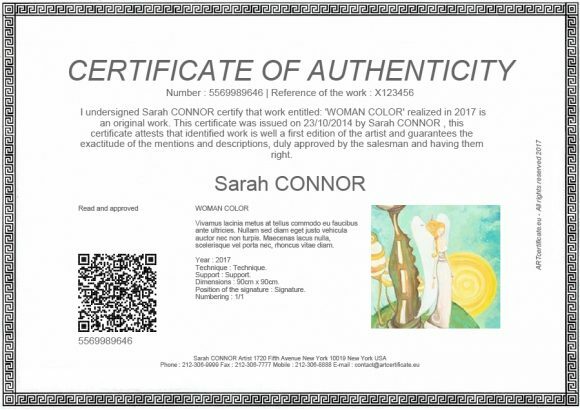 Such certificates contain relevant information about the artwork. This information can potentially make a buyer more confident in purchasing the piece. 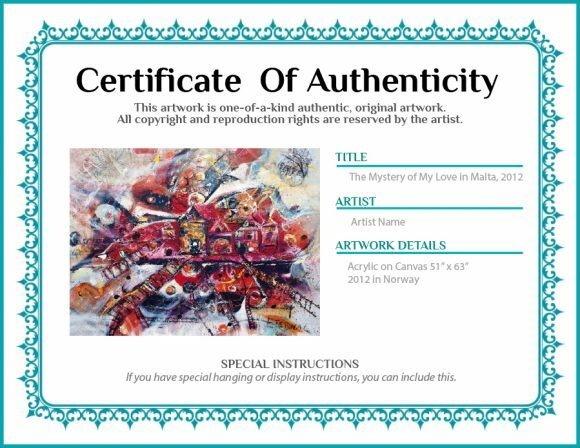 It’s a document which an art collector can hold onto, to prove that the artwork he owns is genuine. Although there’s no rule which says that artists have to have a COA. But they do add to the value and authenticity of the piece which might make it more appealing. 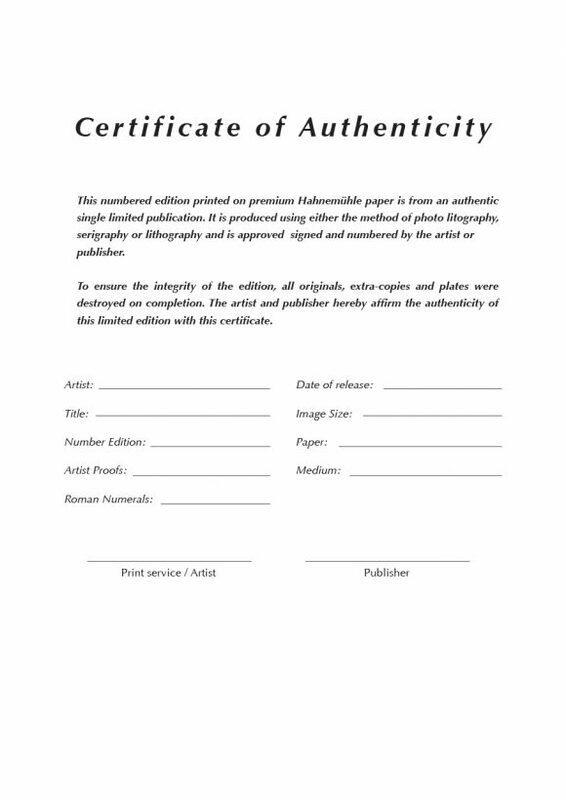 One problem, however, is that the certificate of authenticity template can be easily forged. 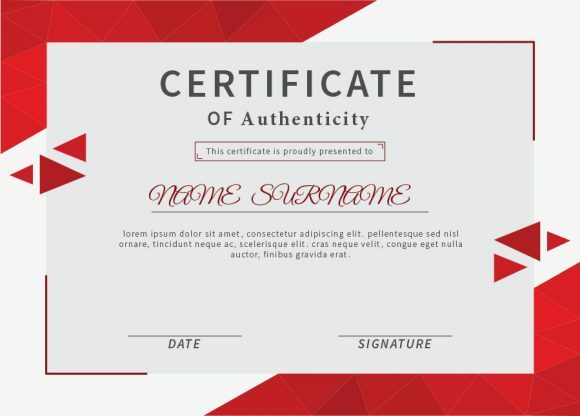 These days, it’s very easy to create fake certificates along with forged signatures. This is why you should learn what goes into such documents or seals. So that you can spot a fake one if you encounter it. The most common purposes of COAs are in art and in prints. Of course, there are other uses but they aren’t very frequent. 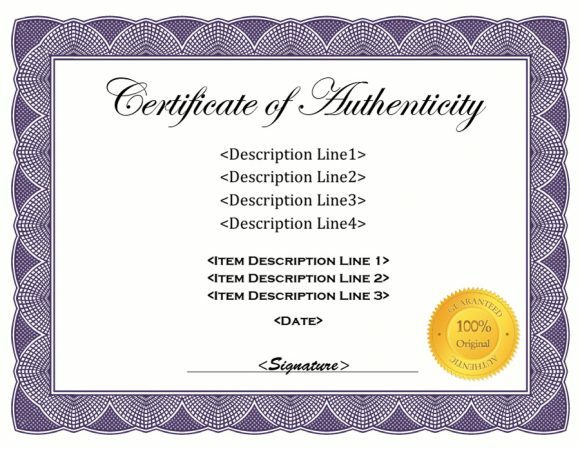 Let’s look at these purposes so you can understand the value of such certificates. 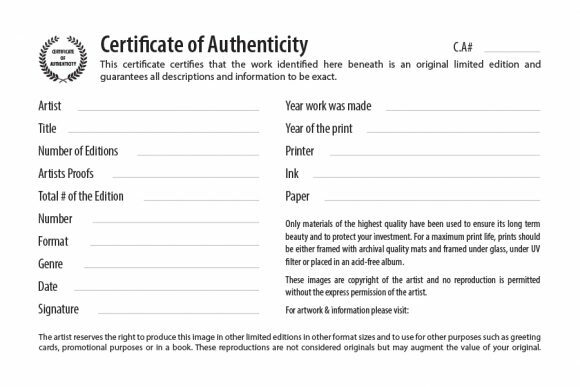 On thinking about buying an art-piece, you should look for a document that serves as proof of being genuine. You should be sure that it really came from the individual or brand which created it. 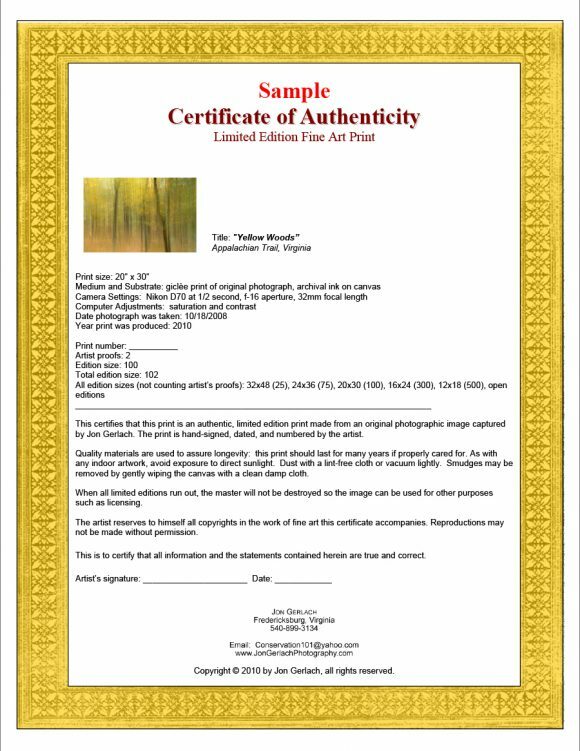 In art, certificate of authenticity includes all the information you need. Usually, the artist creates the COA. Either that or an expert in the field creates it for the artist. This will help interested buyers and collectors to prove the quality and worth of the piece. When it comes to fine art, expensive pieces always come with COAs. They serve to set the artwork apart from works made by amateurs. Such certificates add credibility to the piece. It serves as a promise that it is original and made by a real artist. 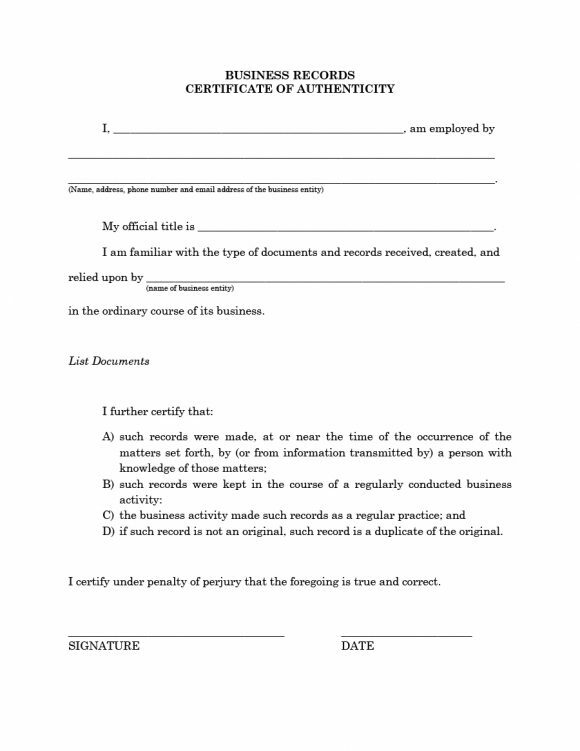 When looking at it legally, it’s a declaration that the artwork is real. Therefore, it protects the owner from the risk of copyright infringement and fraud. 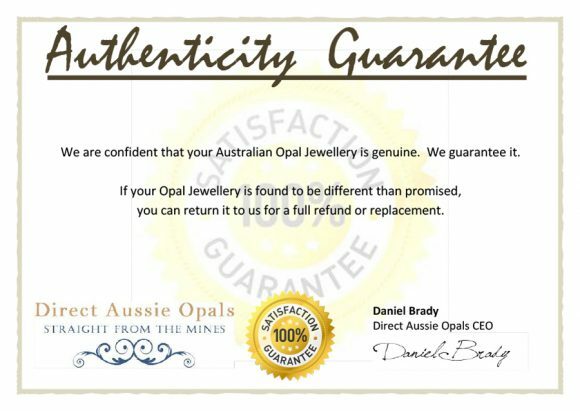 Usually, the seller provides the COA at the time of sale. It doesn’t matter if the buyer purchases the artwork from the artist, other collectors or even art institutions. The COA serves as the most important and dependable dales receipt. So, the seller should give it along with the piece. Once given, it should already contain all the relevant information about the artwork. This includes the seller’s valid contact details. The most important addition would be the number of the print within the series or the edition. This shows that the print is really part of the edition and it’s rare or limited. If the series is open, then that information should also be in the COA. When a series of prints is open, this means that more pieces may come out at any time. 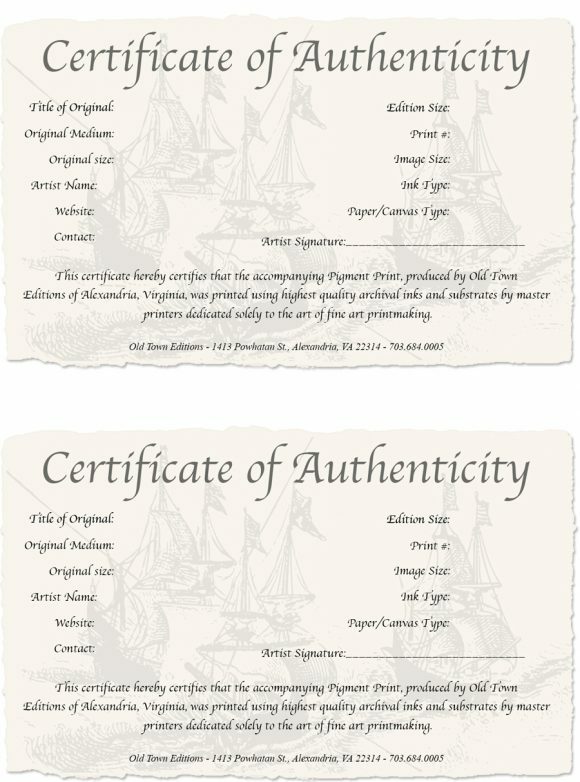 The COA should also contain information about how many prints and proofs within the edition. They must have signatures and numbers. It should also contain the status of the master or plate. It signifies whether it still exists or it’s already destroyed. In the case of the latter, then it means that the print is really a limited edition. These are some of the most important information which must be in the COA for prints. 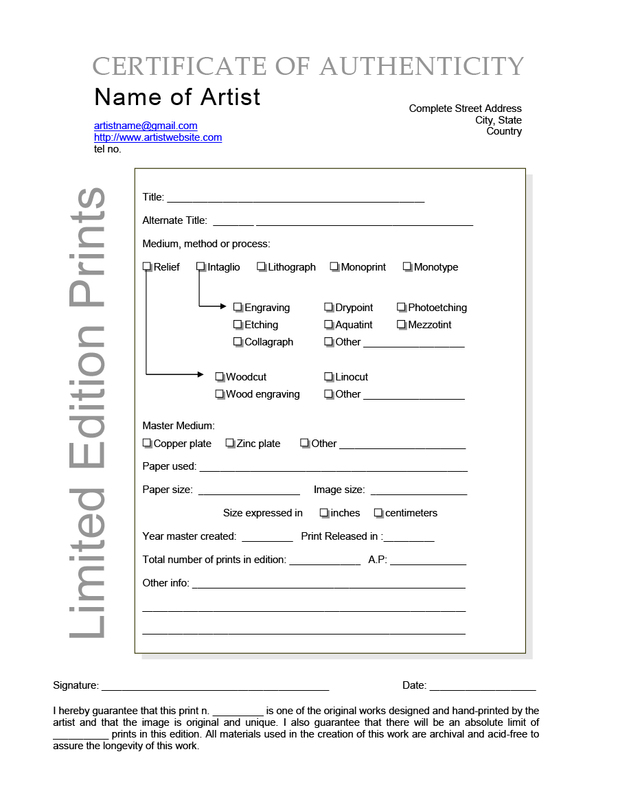 If you’re planning to buy a print, it’s a bit more complicated to go through the COA. Of course, you need to look for all the essential information to know if it’s a real or a fake. 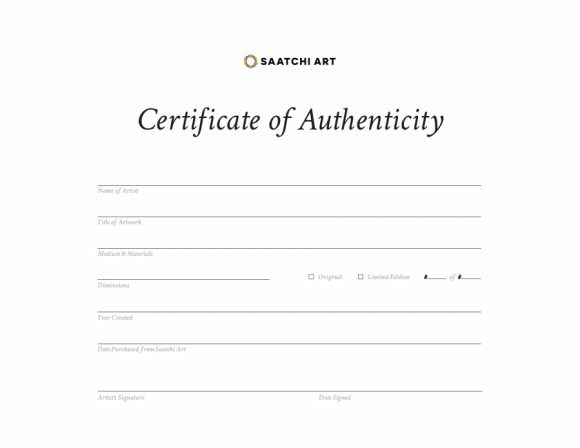 Most commonly, the art community uses certificates of authenticity. Art gives people a chance to express their skills, whether technical or imaginative. Through the years, it has evolved into a proper kind of trading business. Because of this, it now has an entire market for sellers and interested buyers. Now, the COA stands as the most important part of the trading and circulation of artwork all over the world. Over the last century, COAs have elevated artworks to a new level. They are now seen as branded products. COAs serve as the legal statements, fiscal invoices, and even deeds of such works. 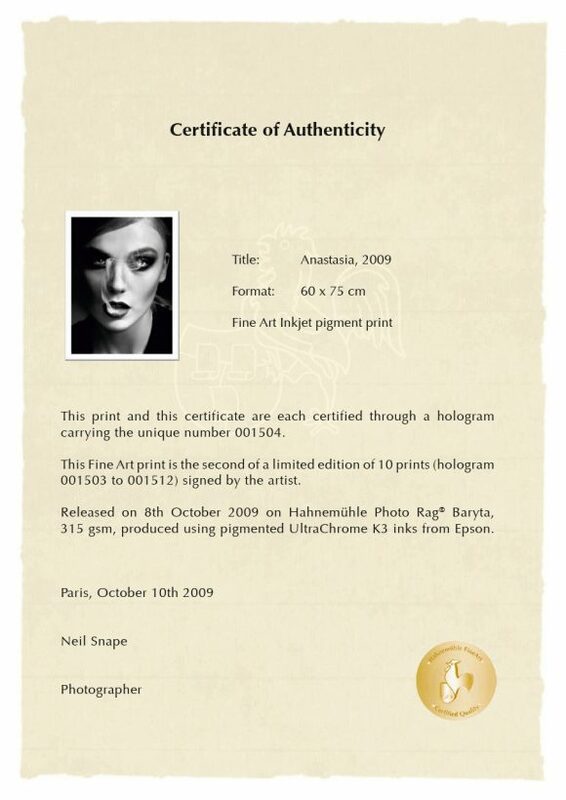 But as art changed throughout the years, so has the certificate of authenticity. A lot of forgeries have emerged, looking even better than the originals. 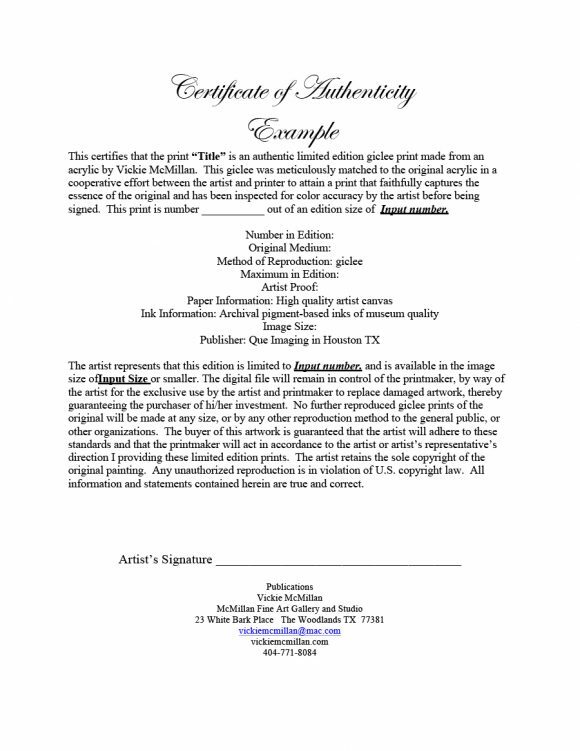 The purpose of these forgeries is to increase sales of the artworks. How and when the artist made the work of art. All the names of the individuals or organization involved in the production of the artwork. Each and every reference book or resource which contains information related to the artist or the artwork. The qualifications along with all the recent contact information of the person or group which made the certificate. COAs are always surrounded by controversy because of forgeries. 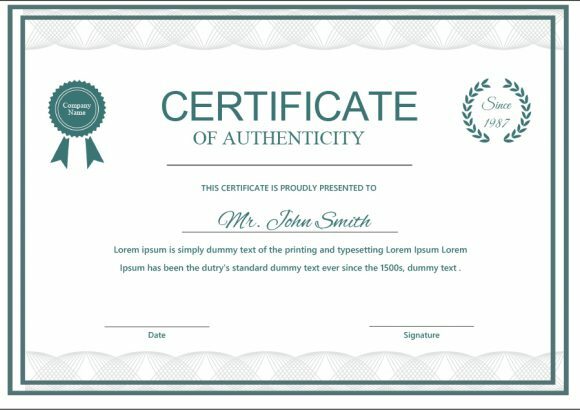 A lot of online auction sites have sellers who give out fake certificates just to sell their merchandise. It’s important, though, to be able to know a genuine one from a forged one. You cannot trace fake COAs and so they are totally worthless. They don’t contain any details about the person or group selling the artwork. The contact information provided isn’t updated or is false. 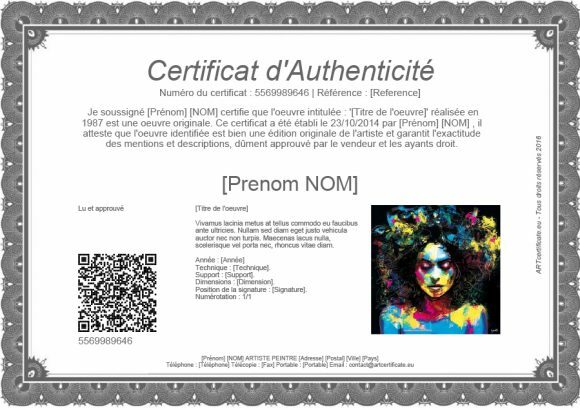 It doesn’t have enough information about the artwork it’s supposed to authenticate. Any kind of COA is worthless unless it contains all the relevant information. 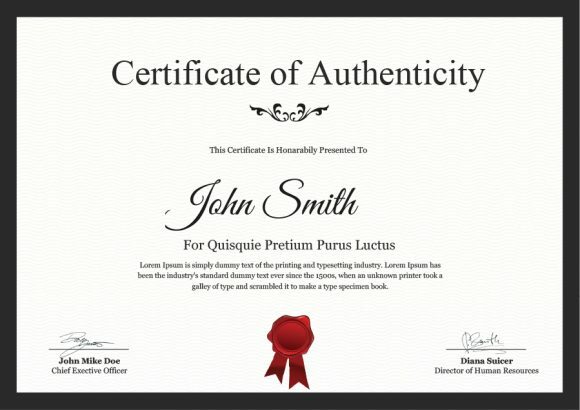 Spotting a fake in any kind of COA is basically similar. To help you out further, let’s go through the different things a COA must contain. This useful information can guide you if you need it. 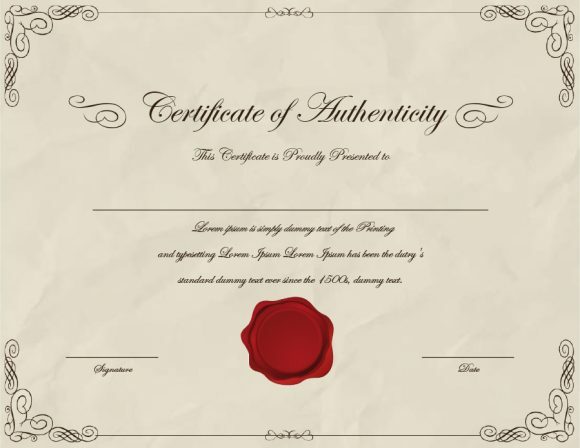 What should the certificate of authenticity include? The name of the artist. 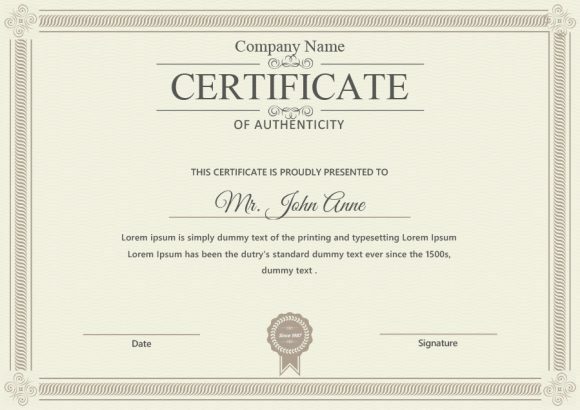 Ideally, this would also be the author of the certificate. 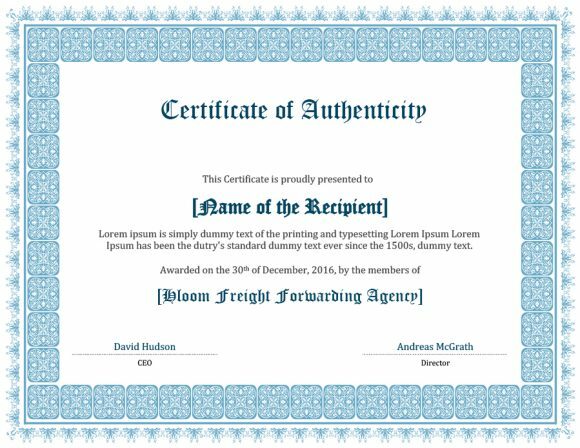 The name of the individual or group who made the certificate. 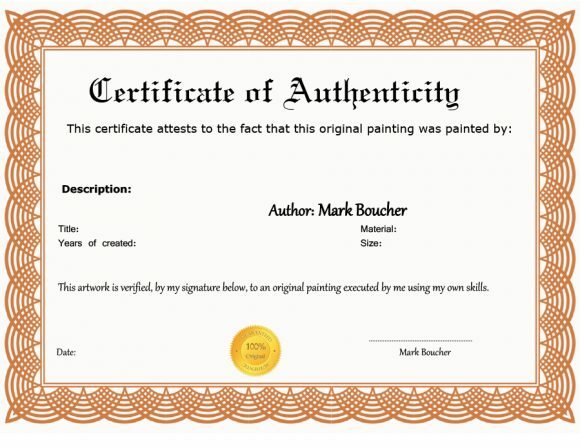 If the artist didn’t create the certificate, it’s usually someone working for him/her. 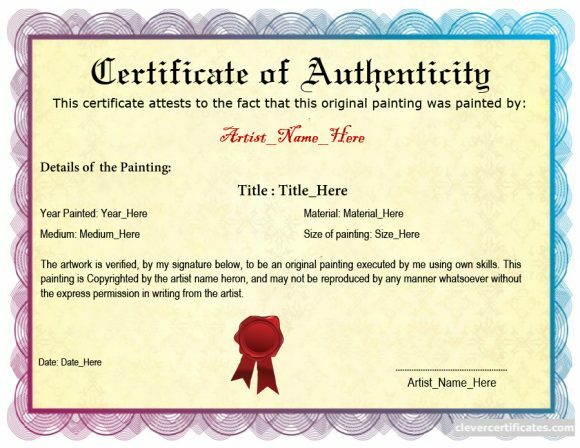 In this case, the creator of the COA should include their name, valid contact details, and their relationship to the artist. The creator can be the publisher, agent, dealer or an expert in the field. Location and website of the COA author. This is important to the certificate can be easily traced if needed. Also, include any other individuals or groups involved in the creation of the piece or the COA. The complete title of the piece. The completion date of the piece. There may be different dates depending on the medium of the artwork. It’s easy for sculptures and paintings, there’s only one date involved. But for photographs and prints, you need to include the completion date of the original. You also have to state the date of the print’s edition and the date of signing. The medium and materials utilized in the creation of the artwork. This information is useful as it will help the owner preserve the piece. For prints, include the information about the original as well as the print. An image or photograph of the artwork. This is useful for the purpose of comparison. The dimensions of the artwork. If the piece comes in a frame, include 2 sets of dimensions. The first one is the dimensions of the artwork itself. The second one is the dimensions of the artwork and the frame. The original seal and signature of the artist. A copyright statement should follow this. It should show the holder of the copyright, applicable laws, and reproduction rights. 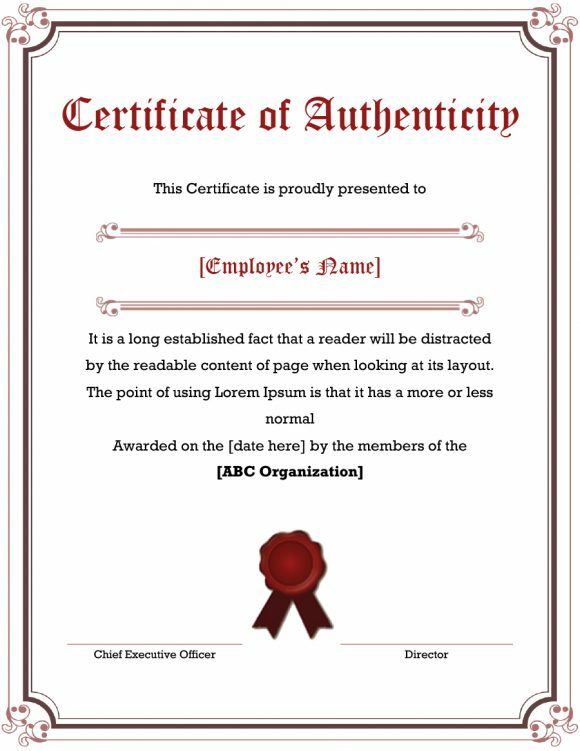 These are the basic and most important information which must be part of the certificate of authenticity. Without all these, you need to start thinking whether what you’re looking at is real or fake. 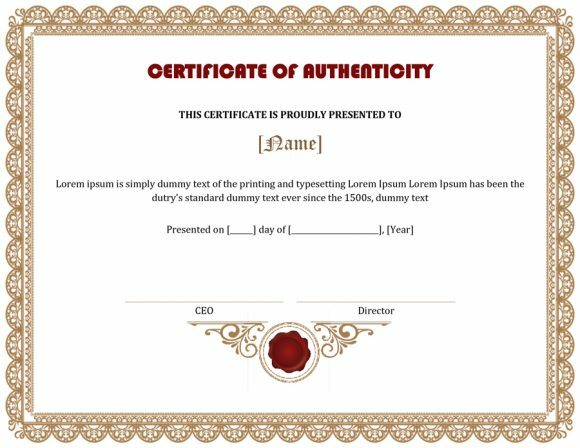 On the other hand, if you want to make your own certificate of authenticity template, you need to learn how to do so properly. First off, include all essential information about the artwork. These include the artist’s name, the title of the piece, and the completion date. Add the medium along with all the materials the artist used to produce the work of art. 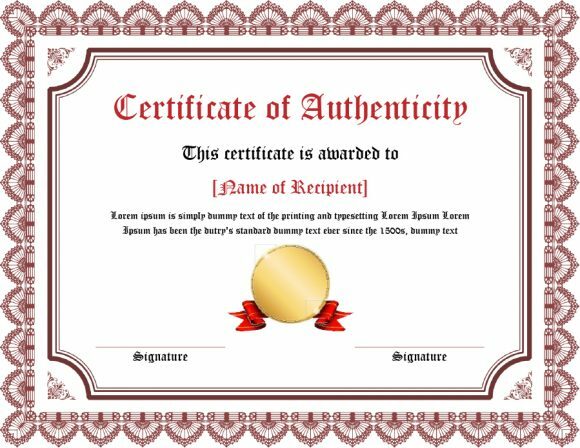 If you can, take a photo of the artwork and add it to the certificate. 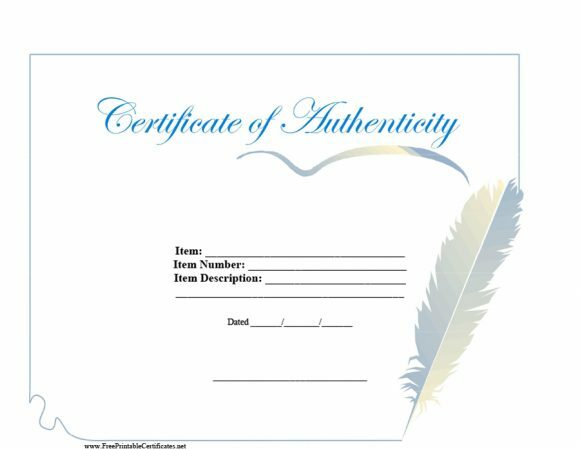 Do this so the buyer can compare what he gets with what’s on the certificate. Include a description of the artwork along with the exact dimensions. If it’s a limited-edition print or photograph, include all the specific details. You can also state the country the artwork came from. For photographs and prints, state whether it’s an original piece or a reprint/reproduction. 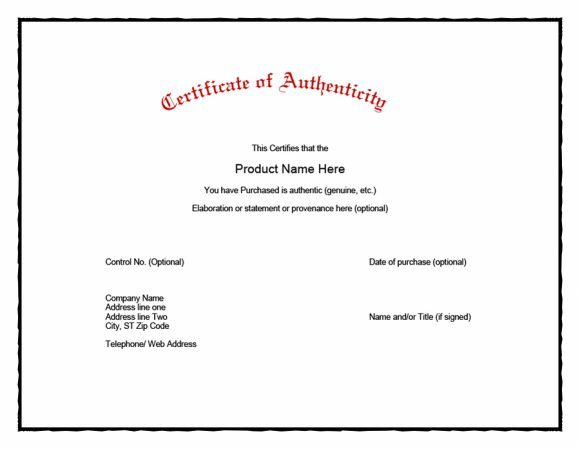 If you’re planning to sell more than one piece, create your own certificate numbering system. Each time you make a COA, stamp it with a unique number from your system. 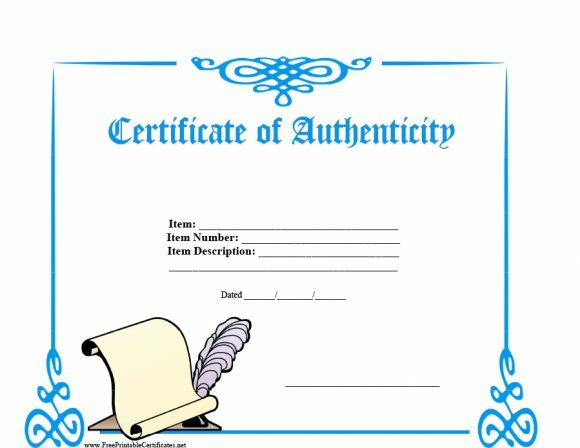 Keep a record of all the certificates you gave out in case there are any questions. 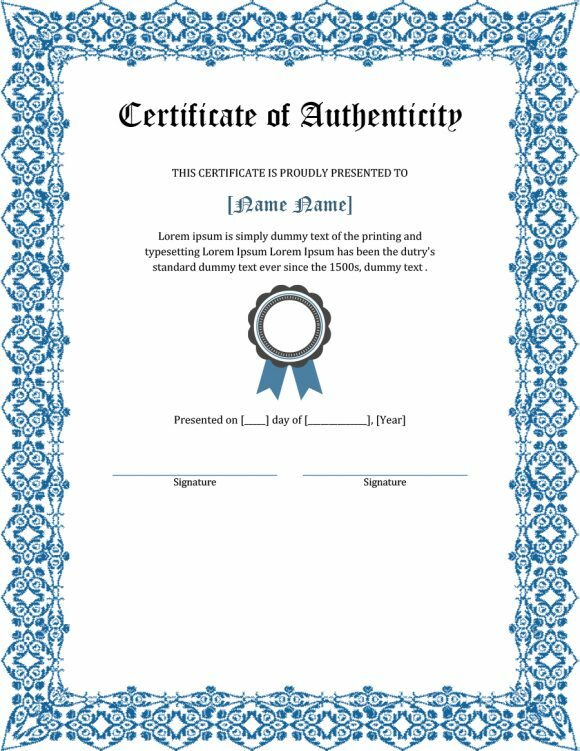 Add your full name, your signature and the date when you signed the certificate. Also, add your most recent and valid contact information. This would include your phone number, address, email and your website link if any. Include any copyright statements given by the artist. 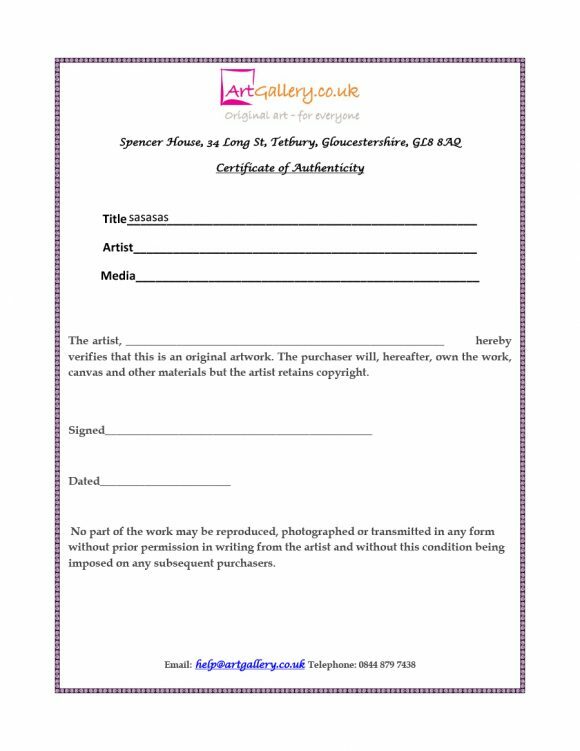 Include a statement which declares that the buyer isn’t allowed to reproduce the artwork for any reason. If the artist wants to add a rubber stamp, that would be great. 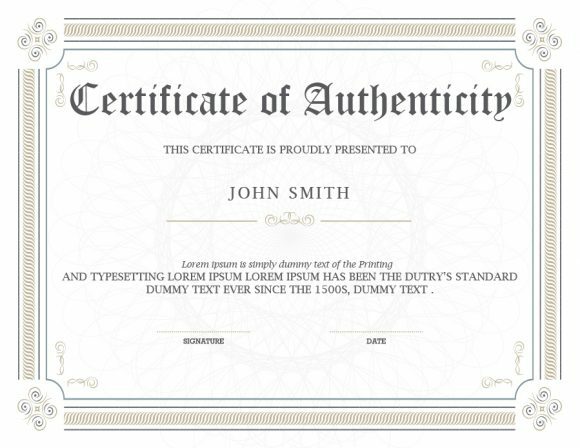 It would add an element of authenticity to your certificate. To help the buyer out, add some instructions on how to preserve or care for the artwork. If there are any other applicable details about the artwork, include them too. 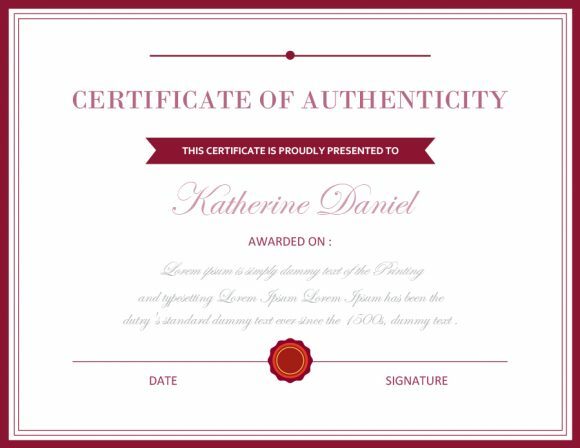 Remember, you want your certificate to be comprehensive to make it completely authentic. If you’re planning to make a lot of COAs, you can try looking for templates in office supply stores. They may come in packages which include the software for generating the document. Otherwise, you can make them on your own. 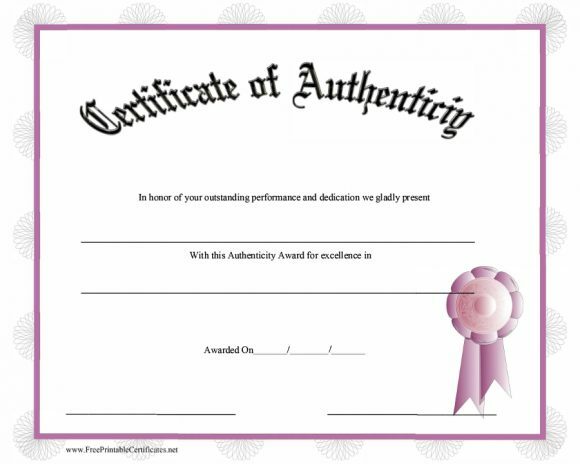 You can create your certificate of authenticity template in any word processing program. There may even be programs which already have an available template you can use. 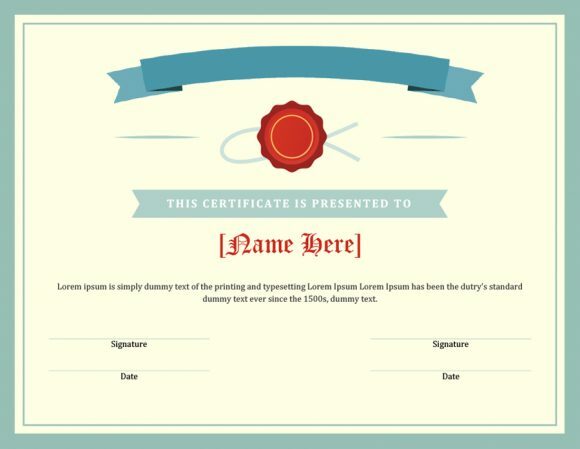 You can create a certificate with or without a border. But be sure to use formal fonts which are easy to understand.